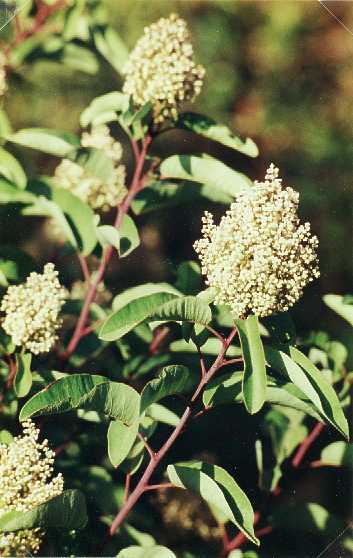 Notes: A native shrub, it can attain a height of 7 feet. 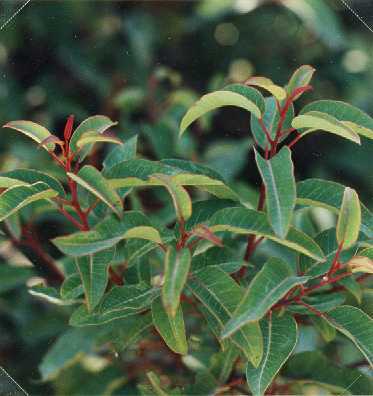 The leaves are somewhat folded, giving rise to its nickname "Taco Plant". Some people claim that the sap can irritate their skin. The dried flower bunches look like small trees, and are used by model railroad builders as such, after being dyed green.